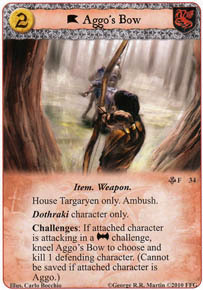 I hate facing this card... while it is only useful in a Dthrai deck, it is very effective in that deck 100% better than house stark Ice. I like how it has ambush! Can I ambush this in after defenders have been assigned?